Why California? 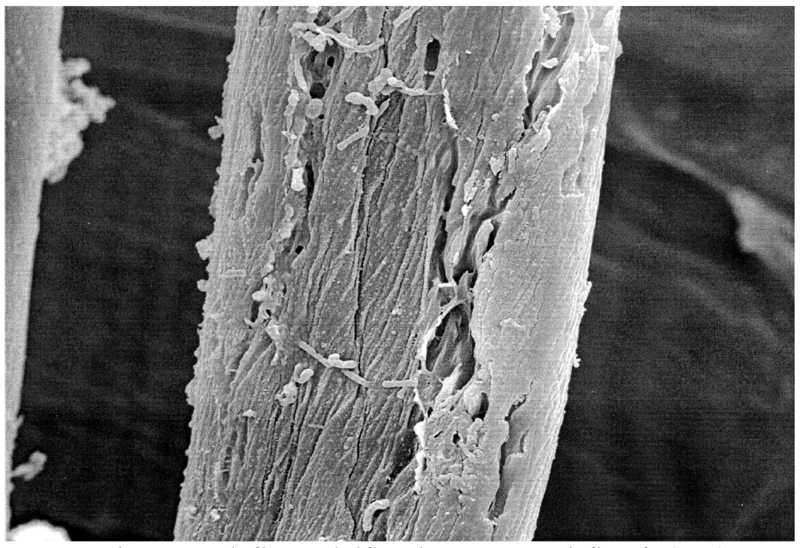 Agrobacterium and Cellulose Fibers – or Cotton? I always have a mounting combination of utter disbelief and total disgust when “new discoveries” are dangled before these poor “morgellons disease patients”. I see there’s also another (newer) pic of a badly clogged apocrine gland around a hair follicle. Based on the clogged gland pics on the MRF site, and since quite a few patients complain of a distinct “morgellons disease odor”, “track marks”, and things (“morgies”) tunneling underneath their skin, such patients as that have probably developed sinus tracts from their skin infections and actually have hidradenitis suppurativa. Of course, though, “morgellons disease” encompasses every illness known to affect mammals. BTW, excellent work, as always, MG. Excuse me, my vision was poor, due to dry contacs. Upon having a closer look, I see that the pic I was referring to isn’t a clogged gland, but a fiber that appears to be coated with, perhaps, either antiperspirant or laundry detergent residue. Hopefully, Mark Darrah will revisit Morgellons Watch and explain his findings. I have wondered if the splinters and fibers are cotton that somehow got embedded in the skin, but that is the issue: they did get embedded, and I have seen them come out of my skin. So, cotton or whatever, how did they get inside? Second, I have noticed that my itching gets worse after being outside in wet grass. So I have wondered if morgellons is a plant pathogen that is able to colonize human skin. According to agobacteria claims, that might be the pathogen. The best way to test this is to have five observers looking for four hours at five naked morgellons patients who should drink two Cokes apiece. Also, there might be another group of morgellons patients who are naked and slathered with zinc oxide with and without Coke. In my observation, sweets increase fibers coming out of the skin, caffeine increases fibers coming out of the skin, and zinc oxide increases fibers coming out of the skin. The research method should be adapted to the problem rather than the problem adapted to the habits or convenience of the researchers. Meanwhile, for those looking for help until the doctors figure it out: avoid sweets, caffeine, alcohol, yeast, bread, refined carbohydrates and follow a candida diet. For me, getting mercury fillings made a huge difference between periodic outbreaks and laid back live with it. It was not an FBI lab, it was the local Tulsa Police lab. Their textile database only had 800 fibers in it. 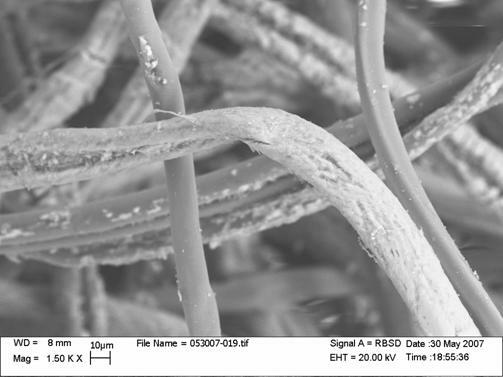 Their fiber did not melt, which is totally different from the vast majority of “Morgellons” fibers. 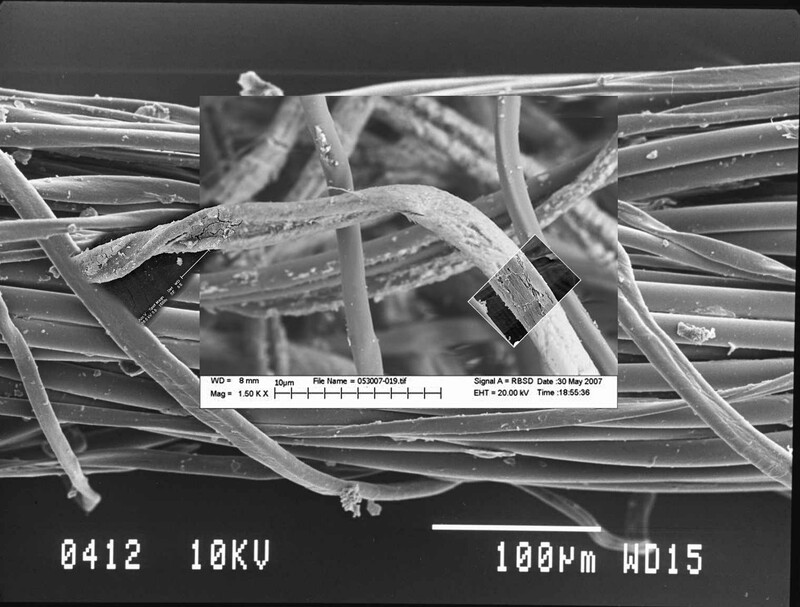 Morgellons fibers HAVE been examined by professionals (fiber identification professionals), and have been found to be a wide variety of textile fibers. Do you ever wonder why there are so many different types of fibers found? All different colors, shapes, sizes, textures, substances? 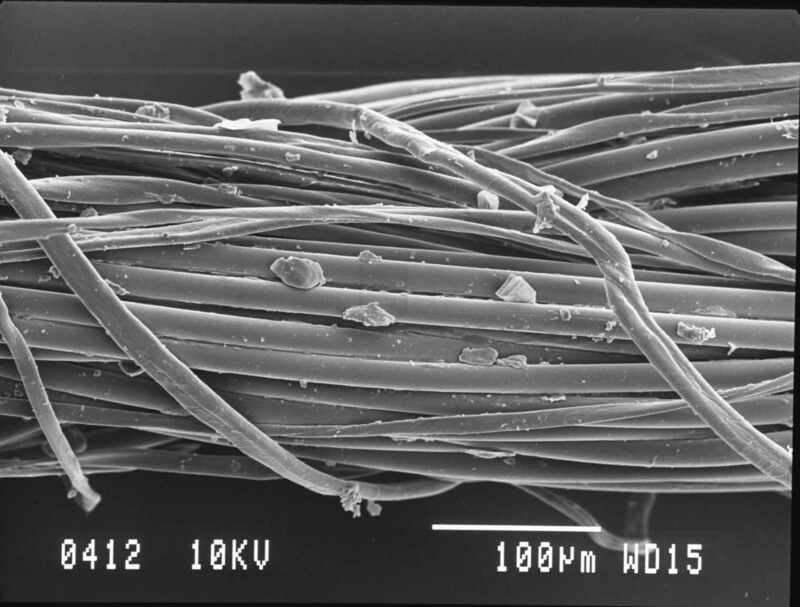 Perhaps because fibers are everywhere, and you can’t help but find them on your skin. MY name is Esperamza Ray, My son & I Have Morgellons, he is very sick but the doctors will not belive me. Ireally need your help! How or where can I get him & I tested?My phone# is (903) 291-8338 PLEASE HELP US! How old is your son, and could you explain how is he is dealing with the situation? Which one of you became ill first? Before developing “morgellons disease”, were you diagnosed with any pre-existing conditions that you were treating? MY DISCHARGES STARTED 10 YEARS AGO JANUARY. 3 YEARS AGO ALL MY SYMTOMS PROGRESSED ENOUGH TO WHERE I WAS(AM) CONTINUOUSLY 1/2 DIZZY,1/2 NAUSEOUS AND NO ENERGY. LAST MAY(2007) I GAVE UP MY JOB AND HAVE NOT WORKED SINCE. ON A DAILY BASIS I SCRAPE(DRAG?) OUT WHITE-ISH THREADS(? )(SOME OF THESE ORIENT THEMSELVES TO MY LIGHT SOURCE). 2-3 TIMES A WEEK I PULL OUT BLUE THREADS(?). ABOUT ONCE A MONTH I GET A RED THREAD(?). ALL THESE ALONG W/A SIGNIFICANT AMOUNT OF BROWN CRUD(WORM CASTINGS ONE DOC TOLD ME) DAILY. MY THINGY-S I SCRAPE OUT OF THE SOFT TISSUE IN MY LEFT EYE SOCKET. CALL ME DELUDED. 2MONTHS AGO I HAD A M.R.I.. NOTHING ABNORMAL WAS SEEN. TALK ABOUT PHANTOM PAIN JUST MAKES ME MAD . HOPE I DIDNOT STRAY TO FAR FROM YOUR TOPIC. As to what might be causing any one person’s illness, it’s much harder to say. The diagnosis of Morgellons may come to be known as “Has an undiagnosed illness”. And it will be labeled a syndrome rather than a disease, as it is a constellation of symptoms. If I had it, I’d try a few remedies. I’d try olive oil on the skin: yellow is gentler. That might help with dry skin and some fungus infections (fruits have protective chemicals, to fight off fungi). There are anti-fungal drugs and creams to try. Anti-parasitics too. I’d get a liver function test before I tried any drug treatments. Then I’d try a rigorous series of food exclusion diets. I’d start with milk. Itching would stop in a day or two for most food allergies that cause pruritis (itching). Scratches itch longer, I’m talking about itching on healthy skin. For gluten intolerence, the itching can take a lot longer to subside. But if you can resist scratching, look up several images of Dermatitis Herpetiformis, note the usual distribution of the “rash” and compare them to your occurances. Gluten intolerance affects 1 in a hundred people (millions of people). Dermatitis herpetiformis is rarer. But, with 200+ million people in the U.S. and a rare disease, it’s possible that the diagnosis will be missed. Especially if you scratch it. Also, antibody testing for parasites if available and you can afford it. If you have insurance you may need to tell your doctor that if a test might help, and the insurance won’t pay for it, you will. I paid for my own HLA testing and found I was a Celiac, after fifteen years of misery. Sometimes doctors “self-censor” unconsciously because they know the insurance company discourages tests. Almost any disease which are long term and activate the immune system, and all the auto-immune diseases are difficult to diagnose. The symptoms are so much the same.